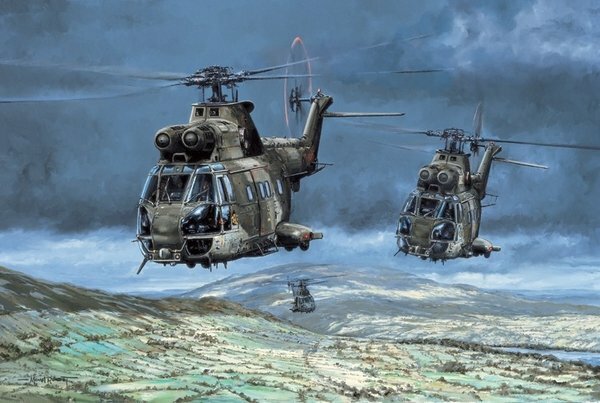 Westland Puma helicopters from No.230 Squadron SHFNI overhead Bessbrook, South Armagh. In the background are familiar landmark features Sleive Gullion, Camloch Ridge and Camloch. The operating area around South Armagh patrolled and resupplied by Pumas was marked by a network of observation posts and security posts that kept watch on activity close to the border areas of "Bandit Country".